The goals of the Freedom of Flight Museum are two-fold. The first goal is to develop a traditional aerospace museum, centrally located at the Joplin Regional Airport, that will provide a valuable educational, cultural and historical resource facility to southwest Missouri. When fully operational, the interactive museum will provide a place to restore and exhibit examples of aerospace history from the four-state region of Arkansas, Kansas, Missouri and Oklahoma. These exhibits will tell a story of history that began as far back as 1908, when two businessmen from Monett Missouri took the initiative and risk to commission the building of a biplane, a monoplane and an airship. Our second goal is to provide a place for area youth to expand their knowledge and exercise their curiosity about science, technology, engineering and math (STEM) using hands-on aerospace activities provided by the museum. Field trips to the airport, after school programs, weekend projects, science fairs etc. are all in the planning stages. We need your help to accomplish our goals. Please consider contributing to one of our fundraising campaigns. Each campaign is equally important. Funds donated will be used exclusively for the indicated campaign. Click a campaign button and you will be redirected to DONORBOX where more information can be found about each campaign. You can donate by credit card if you so choose or you may return to our website without any obligation.  The Freedom of Flight Museum, Inc. is a 501 (c) (3) organization, EIN 46-0919824. All contributions are tax deductible. No goods or services will be provided in exchange for the donation. Please consult your tax advisor for more information.